SELLER WANT THIS SOLD - BRING US YOUR OFFERS! Highly visible parcel on the West Side of Route 83 offers loads of possibilities. Under the jurisdiction of the Village of Wooddale. 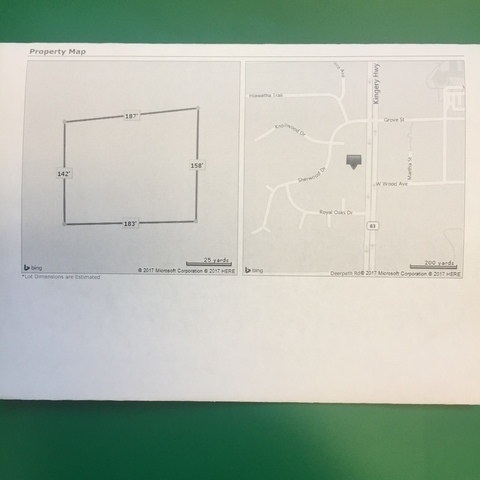 Seller intends to have the lot leveled when the weather permits (Spring possibly) but dont let this stop you - start making plans and lets make a deal! Seller will also consider holding paper (financing this property) or leasing the land or Building to suit your needs. LET&apos;S TALK!